From the head table to the ceiling display, Weddingstar's selection of wedding decorations includes all the essentials you need to transform your reception venue into a space straight from your wildest dreams. These wedding reception decorations have been handpicked by the Weddingstar team, with an amazing variety of options to ensure that you find something that's bespoke to your theme, budget and color scheme. This variety includes wedding candle holders, candles, lighting, hanging decorations, flowers, garlands and much more. 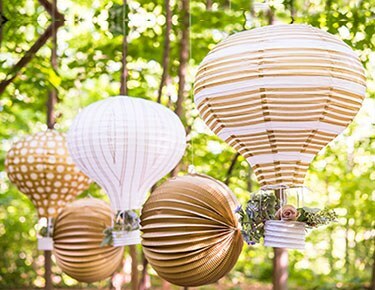 Whether you're looking for a way to top off DIY centerpieces or need unique elements for outdoor affairs, our selection surely includes options to suit your individual needs.Weddingstar can help you find the best outdoor wedding decor for your open-air wedding. Use hanging, decorative hearts and garlands to add an extra layer of romance and whimsy to fences, walls and other structures or use shepherd's hooks for weddings where flowers are a focus. We have affordable metal shepherd's hooks for sale at Weddingstar that can be used to hang candles, flowers, lanterns and more. We also have plenty of hanging decor for both indoor and outdoor receptions, including elegant hanging glass handle holders for weddings of all styles and themes. 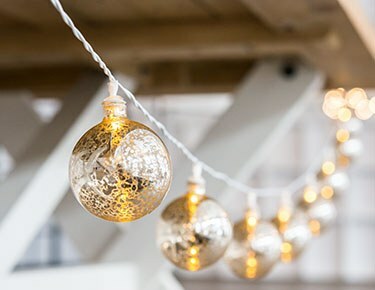 Our LED string lights and paper lanterns are also a great way to completely customize your alfresco wedding design.We also have plenty of wonderful options for completing your indoor wedding reception decor, including a large variety of wax table candles and candle holders. 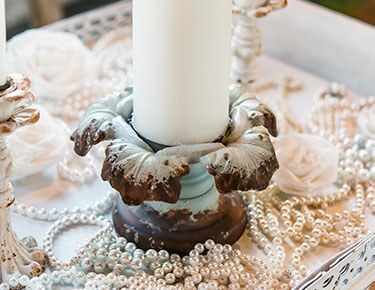 Scatter these high-style candles across tables to create a naturally romantic glow. You can honor your special wedding theme or colors with candle holders in a wide range of colors and themes from Weddingstar, including glitter, mercury glass, clear glass, antique and much more. 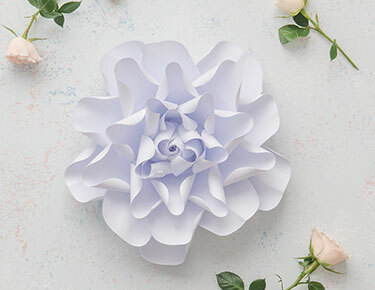 We even have affordable wedding-themed decor options - wedding balloons, paper tassel garlands, paper pom-pom flowers and much more - to complement your engagement party or bridal shower decor.